This was my first service for my new car, so it was complimentary. I hope it is not expensive when i do have to start paying for oil changes. They did a good job servicing my vehicle but they did not offer to clean the exterior or interior. Other INFINITI Dealers I have gone to in other states have offered this service free along with the regularly scheduled vehicle service. Herrin-Gear INFINITI of Jackson offers an impressive selection of new and pre-owned vehicles. At your Madison INFINITI dealer alternative, we not only have crossovers like the QX50 and QX70 but also coupes and convertibles. Feel free to call us on (855) 496-9677 or email us with any questions you may have! 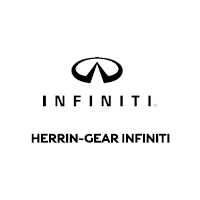 We would also like to invite Herrin-Gear INFINITI customers at our dealership. We are conveniently located for customers from Flowood, Brandon, and Pearl as well.